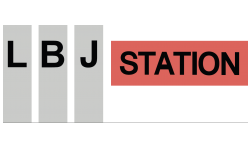 Welcome back to the LBJ Station Ltd. Blog. It’s December and the year is quickly winding down, which means for many of us, our thoughts turn to setting goals for the new year. Today, if one of your goals is to try something new, we’ve got a suggestion. If you were the kid who played with lightsabers or used the cardboard tube from the wrapping paper as a sword, sword fighting may be the hobby for you. If you were a teenager who loved The Three Musketeers and The Lord of the Rings, you should check out sword fighting. If you like the idea of playing chess at one-hundred miles an hour, sword fighting could be for you. Whether you are interested in the modern sport of fencing, the study of period masters, or a hands-on hybrid of the two that meets somewhere in the middle, there is a group to meet your needs. If you’re not sure if you’re interested in the practical application of sword fighting, this article about swordsmanship from Wikipedia provides a great overview. There are a variety of fencing clubs and other classes in the Dallas, TX area, that you can check out, including the Gryphon Fencing Center. Check out the Facebook page for Lone Star Fencing Center, just one club in the DFW area. Another historically based organization, HEMA (Historical European Martial Arts), according to their main website, pays particular attention to the “study and practice of historical European fighting techniques.” As a community, they are dedicated to “bringing back to life the dead arts of the old [European] masters.” HEMA has clubs all over the nation, and this location tool allows you to find the group closest to LBJ Station. We love to hear from members of our apartment community. What new thing are you planning on trying out this year? What is your favorite sport or hobby? Please feel free to leave a comment.